The Arizona general election will be held on November 6, 2012, and early voting started on October 11. After the many recent legislative challenges to reproductive health care access, both nationally and statewide, the importance of voting in November can’t be overstated. To help voters, Planned Parenthood Advocates of Arizona has endorsed candidates who have shown strong commitment to reproductive health and freedom. Along with those endorsements, we are spotlighting our endorsed candidates in a series called “Meet Our Candidates.” Make your voice heard in 2012! Earlier this month we profiled Dr. Richard Carmona, a former U.S. surgeon general and Democratic candidate for the U.S. Senate, as well as Jo Holt, a retired biochemist running for the state Senate. 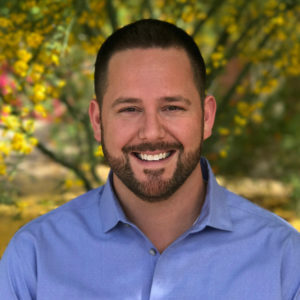 And last month we spotlighted Dr. Eric Meyer, a physician with experience in emergency medicine, who is running for the Arizona House of Representatives. Another candidate who would bring scientific and medical expertise to the Arizona Legislature is Carol Lokare. As an experienced registered nurse, Lokare understands both the factual basis (or lack thereof) for family planning legislation as well as the human side of the equation: how such legislation would impact people’s lives. Lokare is currently seeking to represent Legislative District 21 — an area that includes El Mirage, Peoria, and part of Glendale — in the Arizona House of Representatives. She took the time for an interview with Planned Parenthood Advocates of Arizona on October 17, 2012. For the past 32 years I have worked as a registered nurse. 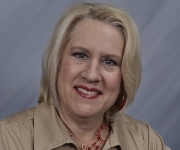 I am a 1980 graduate of Phoenix College’s nursing program and a 1984 graduate of the University of Colorado Adult/Geriatric Nurse Practitioner Program. I have a varied background in the nursing field, having worked as a bedside nurse; manager of a hospital medical unit in Los Gatos, California; school nurse; and as a nurse practitioner in a geriatric practice in Sun City, Arizona. I recently took a leave of absence as a cardiac care nurse at Banner Boswell Hospital in Sun City to devote time and attention to my campaign for the Arizona House of Representatives, LD 21. I also have a bachelor of science degree in political science from Arizona State University. I have been married to my husband, Sanjay, for 25 years, and we have three children, a son and two daughters. Why do you think it is important that people make their own health care choices? What role do you feel the government should play in legislating and facilitating health care services, especially reproductive health care services?